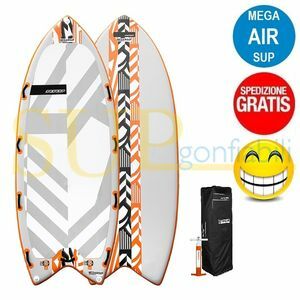 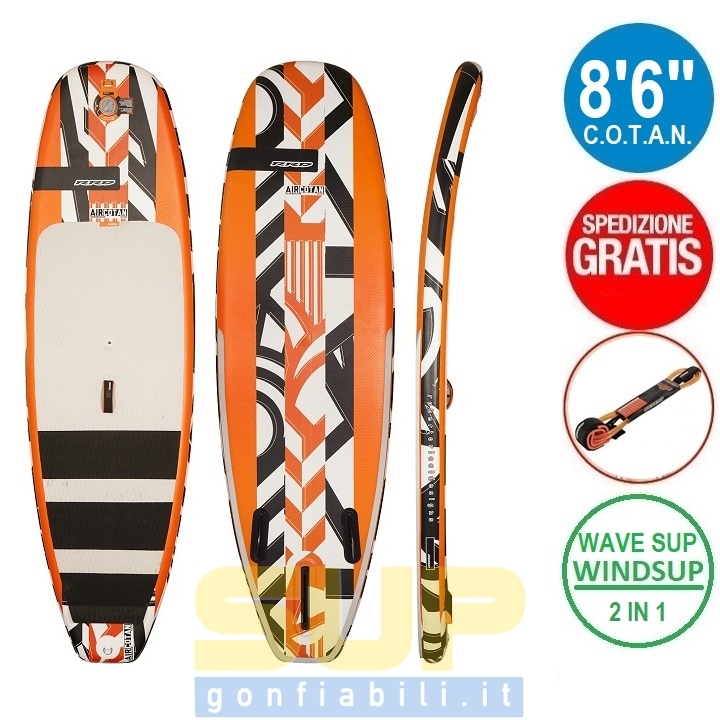 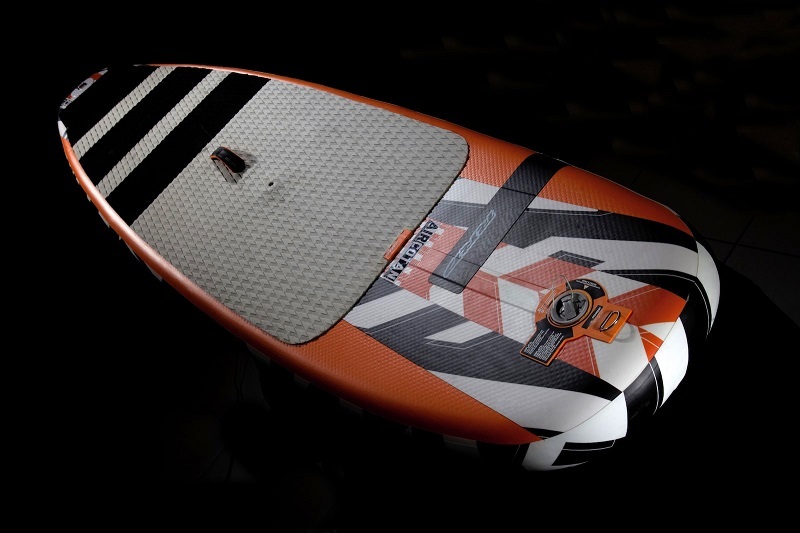 Pagina iniziale/VENDITA ONLINE/Tavole SUP gonfiabili/RRD AIRCOTAN 8'6" + LEASH + FREE SHIPPING! 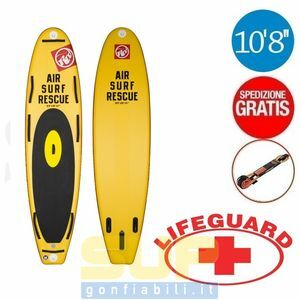 RRD AIRCOTAN 8'6" + LEASH + FREE SHIPPING! 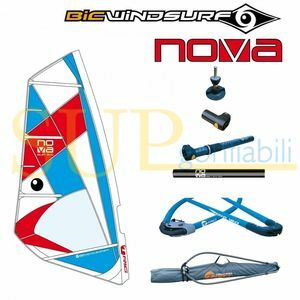 After the big success of the C.O.T.A.N. 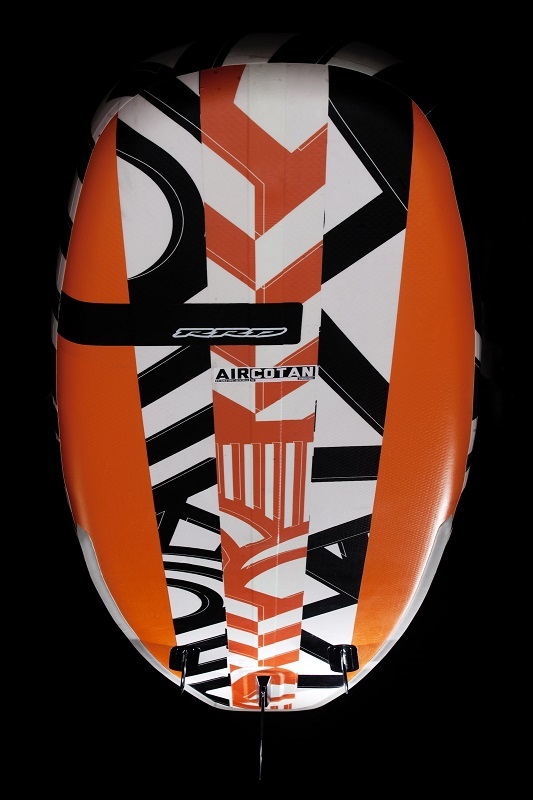 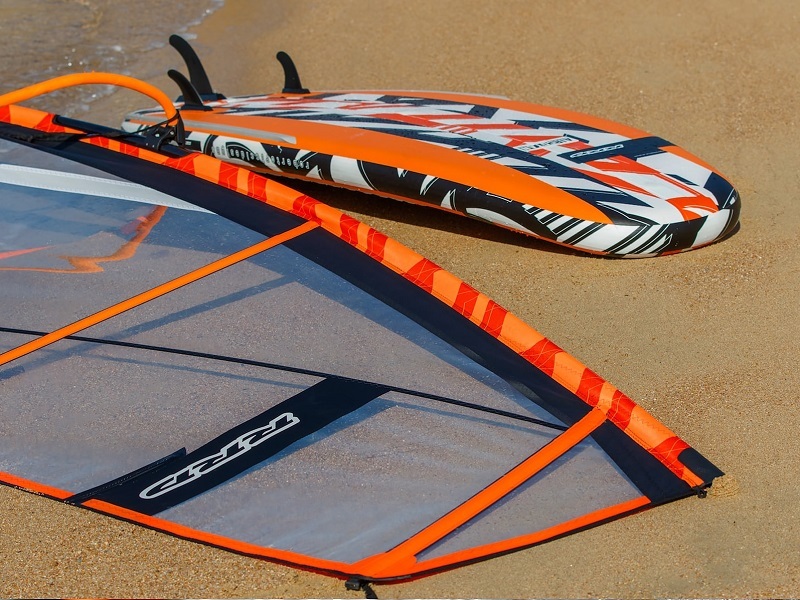  Pro SUP, RRD decided to introduce the new AIR C.O.T.A.N. 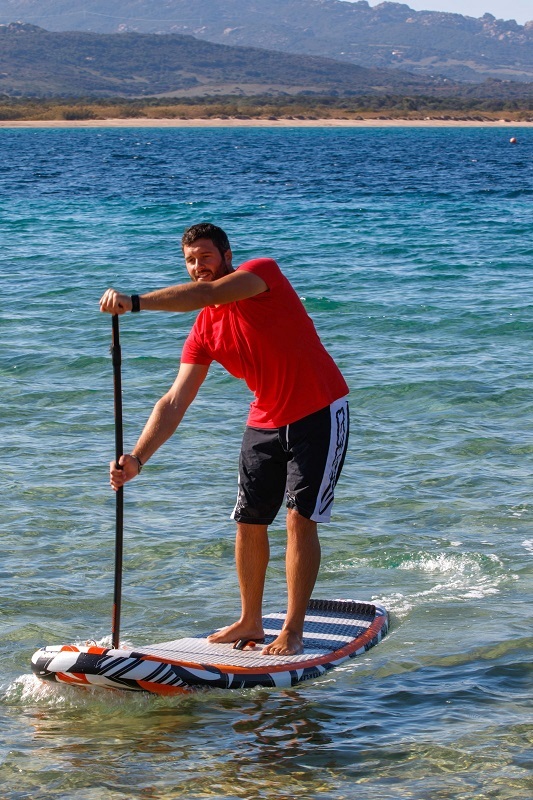 A short compact SUP wave board available in this size 8’6’’ x 29.5’’ x 4 ¾ ‘’. 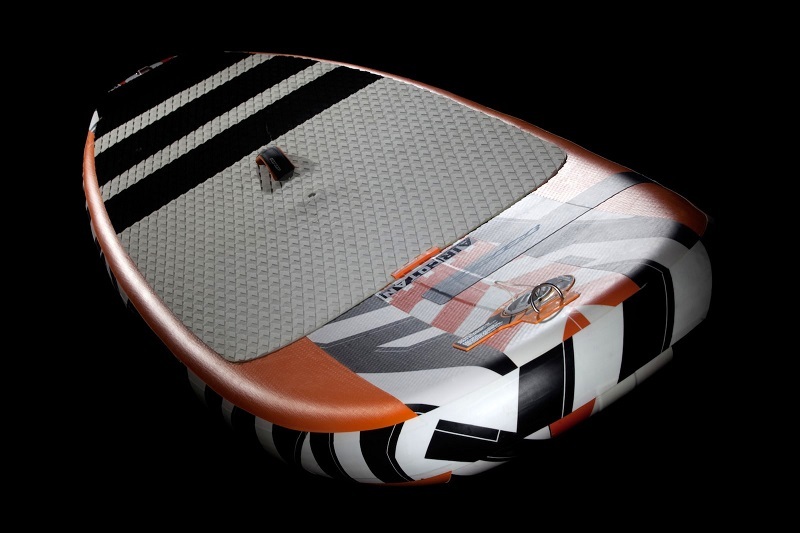 This board is super stable and fast thanks to the wide nose and tail. 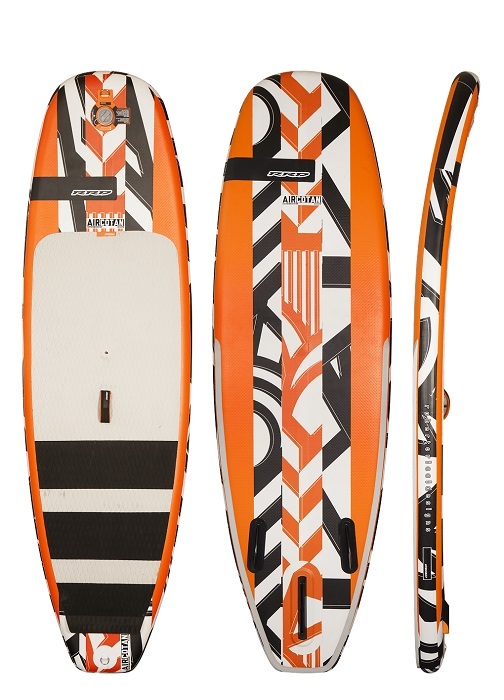 Built with a new “Sandwich DYNEEMA Belt” that wraps the whole contour of the board on the deck and bottom as a stringer, the board becomes about 30% stiffer than any conventional inflatable board. 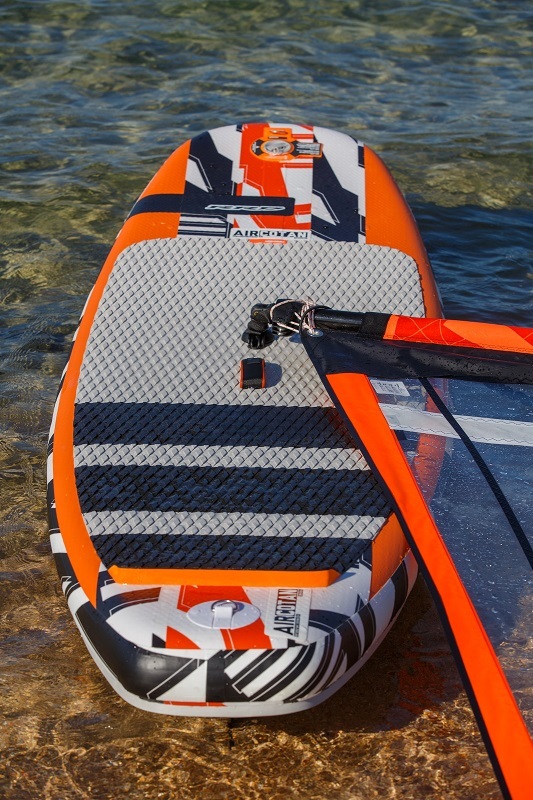 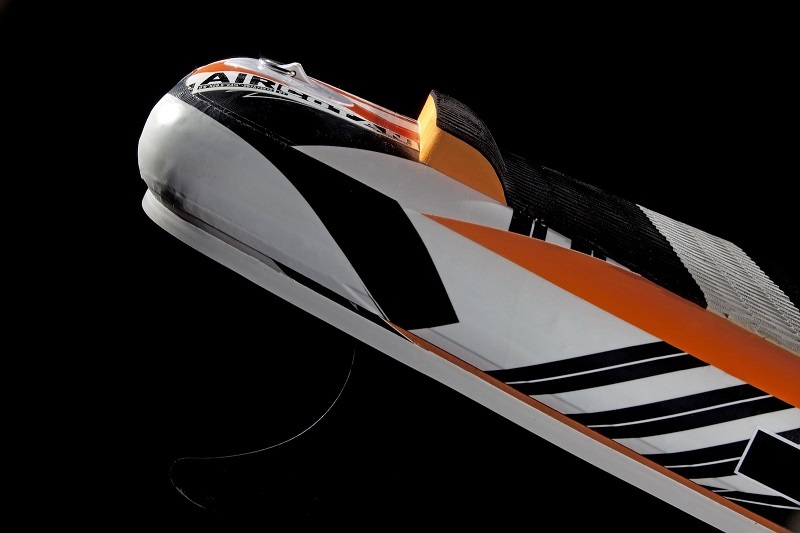 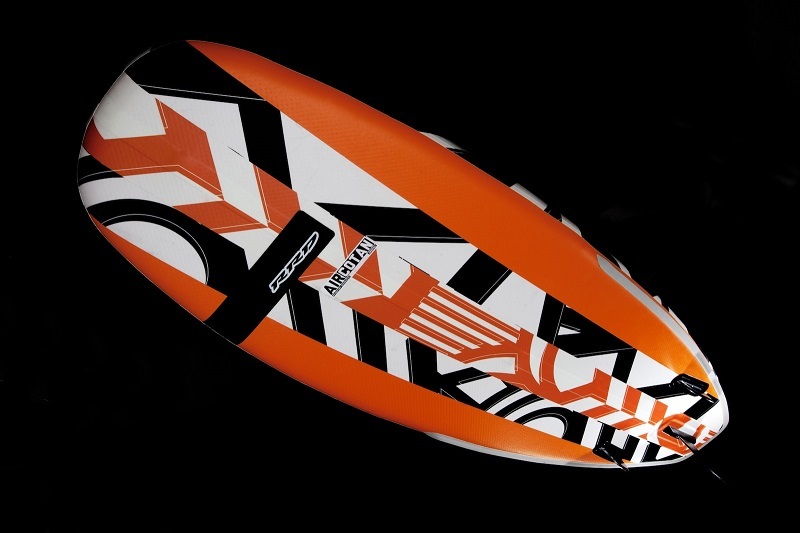 The rails of this compact wave inflatable board are multi-layered and feel really solid. 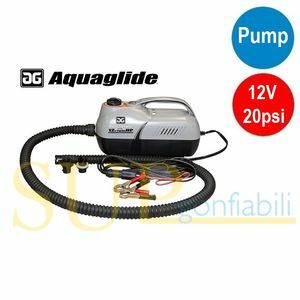 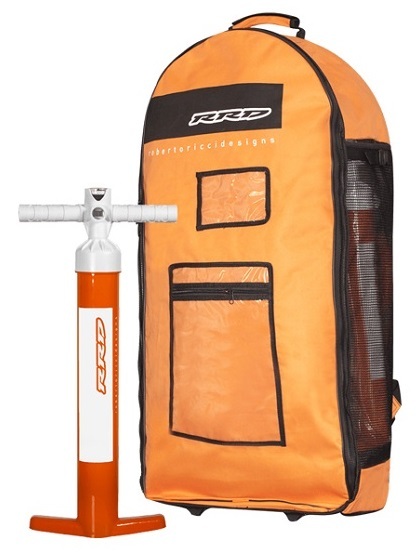 Designed for all those who like to travel without having to deal with a rigid carbon / epoxy board the board came in a smart wheeled back pack and is supplied with a double action pump. 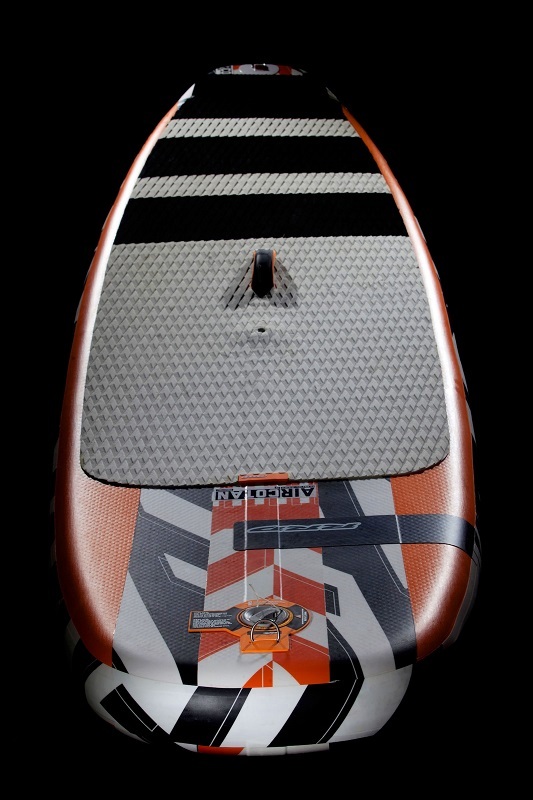 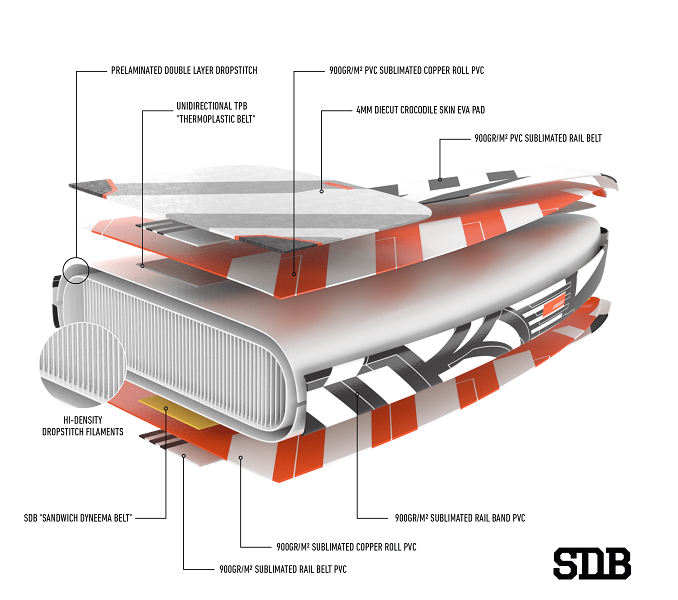 Underneath, the board has a thruster fins with single US box fin in the middle plus 2 permanent side fins. 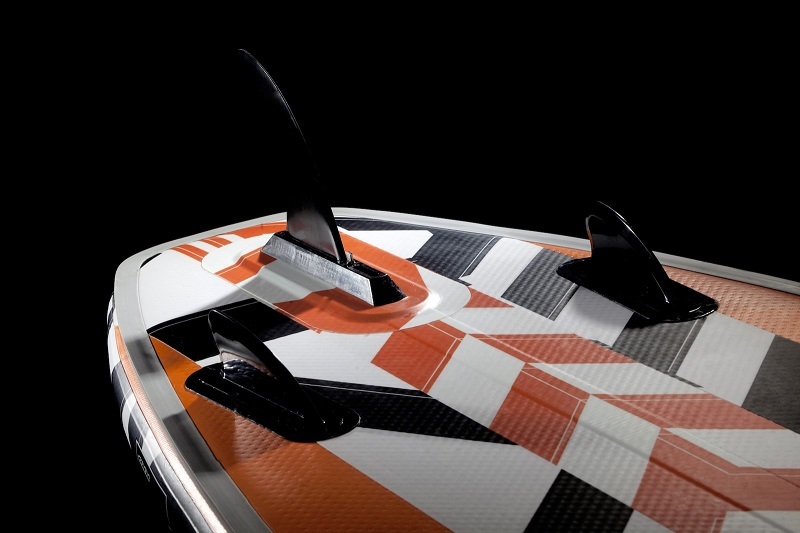 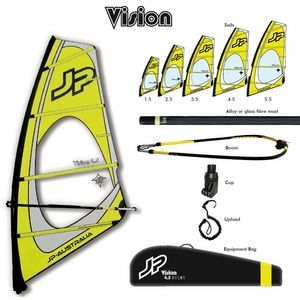 We provided more versatility by adding a mast insert on the deck allowing it to convert into a windsurfer.